What’s at the top of the University of Ghana’s international agenda? 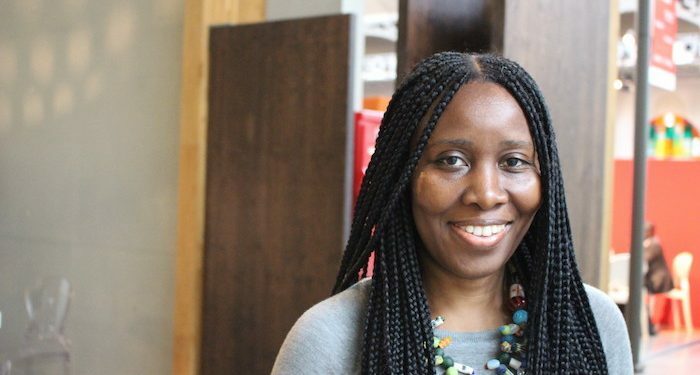 Attracting more graduate students and getting everyone on campus to think globally, says Ama de-Graft Aikins, dean of international programmes. She also discusses meeting Africa’s huge demand for HE and the threat private providers could pose to systems across the continent. The PIE: Compared to other African countries, Ghana is quite advanced when it comes to internationalisation and partnerships with universities around the world. So what’s the next step? "I’m pragmatic about rankings. I just think if you want students you’ve got to prove that you’re good"
AGA: We started out life as a college of the University of London, so we’ve always had internationalisation at the heart of what we do. My office is the International Programmes Office, it’s 20 years old next year. That’s 20 years of essentially forward-thinking activities around making UG internationally credible, internationally situated, and so on. We’ve always had interest from American universities to send students for study abroad programmes, a year on campus, that sort of thing. We always have had research partners, including the Universities of London, Cambridge, Yale, and Princeton. UG is now number seven in the African university rankings and two of the indicators that pushed us into the top 10 were internationalisation and visibility in the international world, as well as research. These are two benchmarks key to our strategic plan, which is running from 2014-2024. My task is to recruit more foreign students, and that’s a major challenge. Every university is doing that now. We’ve talked to Japanese universities who are interested in doubling their numbers of internationals; everyone is scrambling around for foreign students. We also want to strengthen our research partnerships. We have MOUs with lots of universities, many of which are dormant. The general wisdom is you have a few strategic partnerships that are productive and sustainable over the long-term – and that’s what we’re trying to aim for. We’re looking at our portfolios, seeing which MOUs have been sustainable, strengthening those and layering on some of the more interesting activities like faculty and student exchange. So we’re trying to go deeper rather than expanding. We also want to internationalise our campus, make internationalisation an entity that people imbibe rather than a theory. We want everybody including cleaners and porters to understand that ‘OK it’s a new multicultural era so you have to understand how you relate to foreign students’. It’s basically trying to be prepared. The PIE: And where are you hoping to recruit the foreign students from to come to your campus? AGA: From the subcontinent, Nigeria sends us the most students and has for a number of years. The medical school, for instance, is populated with Nigerian students. We’re getting students from Gabon, a few from Cameroon. At last count, we had students from 58 countries. There have been interesting multi-country research projects that have also shaped student mobility into Ghana. Projects from the College of Basic Applied Sciences around climate change, agriculture and food security have attracted students from Côte d’Ivoire and Togo, but these are graduate students. So we want to strengthen the pull from Nigeria – UG is competing with other universities in Ghana for Nigerian students – and we have to strengthen our recruitment strategies for other African countries. The PIE: At what level of study are you hoping to get more international students? AGA: For our 38,000 student population, the majority are undergraduates. Just under 5,000 are graduate students but we’re transitioning into becoming a research intensive university, so graduate study is becoming the priority. There are dwindling numbers of Ghanaian students enrolling on graduate programmes, which means we’ve got space to accommodate foreign graduate students and that’s what we need to start working on. The PIE: And how focused are you on rankings? AGA: They are the language of global higher education, even though the benchmarks have problematic elements. Issues such as: how do you measure international profile? How do you measure students’ satisfaction? How do you measure the impact of research? Journal impact factors, for example, are very tricky to pin down. But if you’re number one or number five it sticks in everybody’s head, right? And the average person who doesn’t know the politics and policies around university management is just looking at the optics. Number one in West Africa, number seven in Africa – what’s not to like? The debate in Africa is: do African universities engage in the global ranking system? Let’s take the Times Higher Education rankings – do we really want to subject ourselves to that or do we want to set up our own continent specific approaches, given the particular problems that we face? At the moment, South African universities are always at the top, and we all agree that they should be at the top of certain benchmarks; but it’s when you start looking at say Nigeria, Kenya, Ghana that you begin throwing in all the noise. ‘We don’t have electricity, we don’t have capacity in terms of teachers teaching, we don’t have access to journals’ – these are some of the reasons why African universities aren’t performing as they should, according to regional critics of the rankings system. But you do need to know what a university is good at. So, I’m pragmatic about rankings, but I’m not ideologically impassioned about it. I just think if you want students you’ve got to prove that you’re good, that you produce what you claim you want to produce. The PIE: What about sending Ghanaian students overseas? AGA: Ghanaian students typically travel abroad as part of a degree requirement for a year to brush up on a language or because they have the money to go abroad. We have a range of funded exchange programmes, such as the Erasmus mobility schemes, but these do not accommodate large numbers of UG students. We also have students going out as part of research partnerships. UG research institutes like the Noguchi Memorial Institute for Medical Research and the Regional Institute for Population Studies tend to have very strong partnerships with African, European and American universities. Through those, they are able to send graduate students out for a year abroad and to work with colleagues in partner institutions. Ghanaian students can’t afford to pay exorbitant fees to study in the US, the UK or other European universities. Moving forward, those are the kinds of arrangements that we would like to have because they are equitable. The PIE: How is UG confronting the huge demand for higher education in Africa? AGA: Well across the continent, there is an explosion of private universities because there is this growing demand from young people to get a university education, but not all are equipped and have the capacity to deliver credible degree programmes. So it’s a problem that I think politicians and educators have to grapple with. They have to figure out how to manage a very complex situation that can undermine higher education in Africa. In Ghana, we have seven public universities and seven times as many private universities. One wonders where private universities get their lecturers from. Ghana is an attractive destination for other African students, particularly from Nigeria and other West African countries. All universities are competing for these students because they bring revenue. It’s one thing to attract students, but quite another to ensure the quality and credibility of education students get. The PIE: What are your thoughts on the proposed pan-African passport that will allow free movement of Africans from one country to another across the continent? AGA: It’s a good idea. I remember going to Morocco a few weeks ago for a conference; my Ghanaian colleagues needed a visa and a Nigerian colleague was actually turned back because he didn’t have a visa. I found it absurd that that would happen. If you can travel freely, it eases relationships. So if something can happen continent-wide that would be brilliant. We already have a problem with travel being quite stressful. You’ve got to go through two countries to get to a country in your sub-region. We have to figure out how we forge stronger relationships with fewer obstacles. The PIE: Of all the objectives you’ve mentioned – student mobility, research, internationalisation on the campus – what would you say are your biggest challenges to achieving those goals? AGA: I guess the first thing would be funding, because if you’re trying to create an enabling environment for internationalisation, you do need funding. It’s simple things like, for instance, the language of instruction or making sure there’s enough accommodation for the increasing numbers of students. If we’re going to expand, say, our study abroad programmes we need to create more cultural activities. And that requires money. I think the second thing is building capacity at faculty level. There’s this rhetoric around getting foreign students, but then you have departments that are quite fixed in the way they interpret our public status. So, they say ‘Well hey – University of Ghana is a public university and you serve Ghanaian students first.’ So, we have to make a strong case for securing spaces for foreign students for high demand courses like medicine and law. The thing really is to merge the theory and the practice. If we want more foreign students, how do we get deans to open up space for more foreign students in our classrooms? This is a micro political problem – you’ve got to talk to people and strategise. This is very impressive from my Dean. You have my support to achieve this and more, Prof! !